The Nail Art Ideas Linkup was one of the first community challenges I took part in when I first started nail art blogging. I am thrilled Jemma, Jacqui and Brijit are hosting the weekly prompts again. 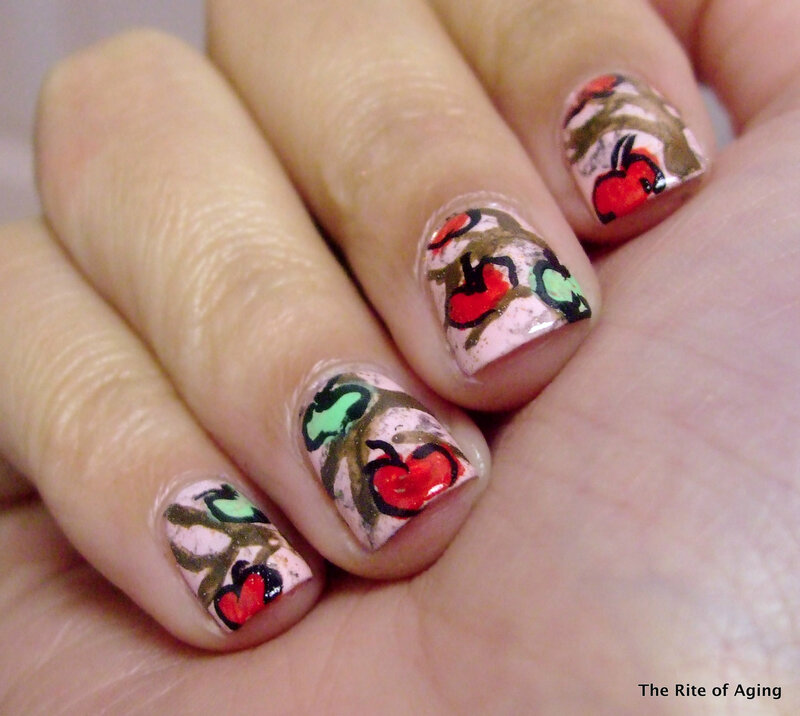 This is my first freehand apples. They are so much fun! I’ve always loved drawing apples since I do not have to be precise and I can always tell what they are. I’ve been really inspired lately to work on my freehand work. I started with 3 coats of Sally Hansen Insta-Dri Petal Pusher as my base. I saran-wrapped with Sephora by OPI 212 – Sephora and OPI Pros & Bronze. I detailed wit Color Club Twiggie, brown and red acrylic paint.